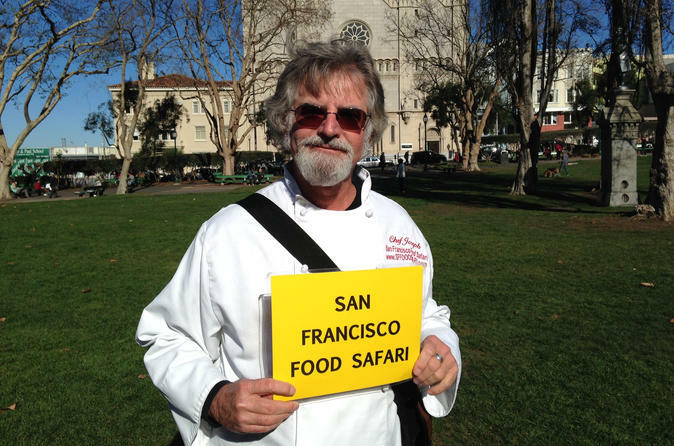 Not your typical food tour, this sojourn into North Beach or the Mission District features insights by a local chef as your guide. Together you'll scout out the food scene in your choice of neighborhood and shop for culinary treasures along the way. Tour does not have include food, you purchase what you like. Be sure to bring cash and a shopping bag for your purchases during a walking tour of nearly 3 hours. San Francisco’s North Beach is well known for its Italian cuisine, but there’s more to this historic neighborhood than restaurants. Scout out the area's best delis, coffee houses, bakeries, and meat markets on a walking tour with your chef-guide. Learn about North Beach history and purchase sandwiches and snacks along the way (own expense). Note: Fridays only. San Francisco's Mission District is known for great Mexican food, but there's so much more to this up-and-coming foodie enclave. Stroll with your chef-guide to Mission Street's and Valencia Street's best eateries and markets. Visit pop-up restaurants and delis, and learn why this area has emerged as San Francisco's most intriguing culinary scene. Note: Wednesdays only.